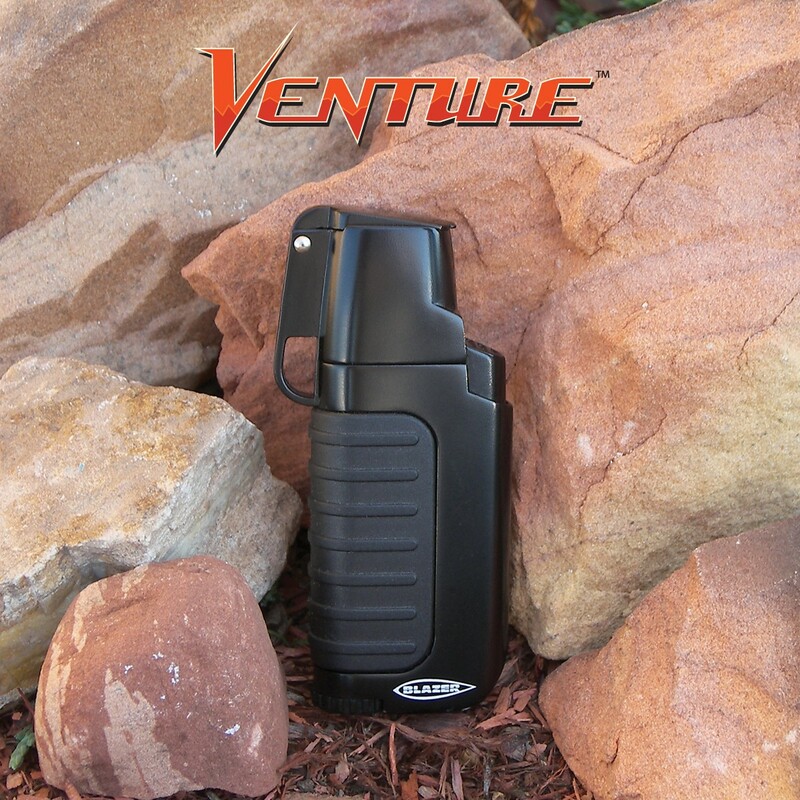 The Venture features two wind-resistant torch flames for twice the power and twice the coverage making it ideal for outdoor use in almost any environment. The hand-adjustable fuel dial provides on-the-go flame adjustment for variable altitudes and temperatures allowing you to customize your Venture in an instant. A built-in attachment ring adds yet another benefit to this feature packed lighter. 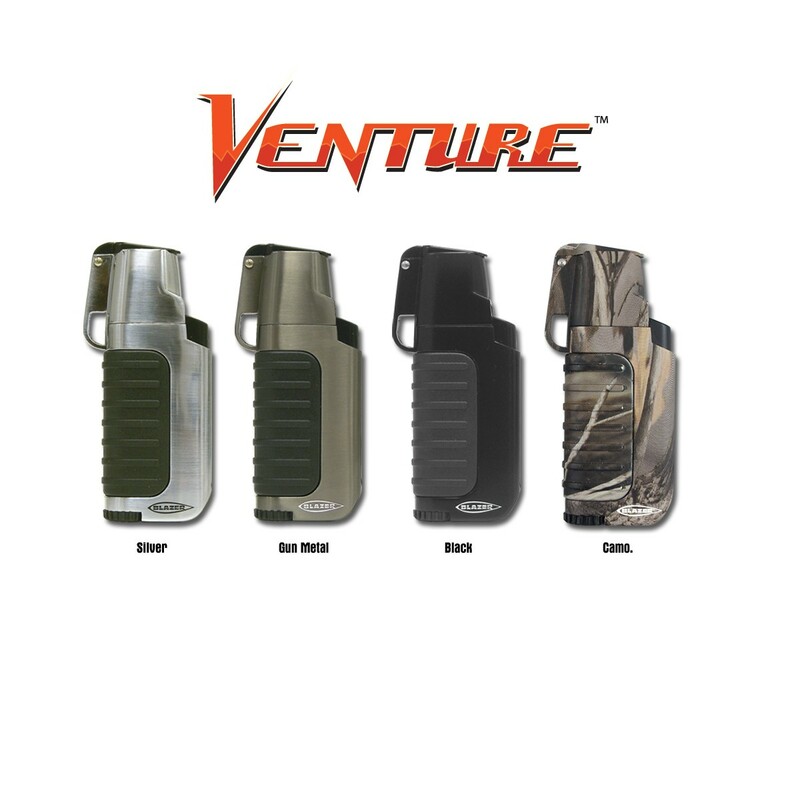 Sturdy and lightweight, the Venture makes the perfect companion whether you’re backpacking cross country or just relaxing at home.